Steve Douglass addresses approximately 5000 U.S. staff. 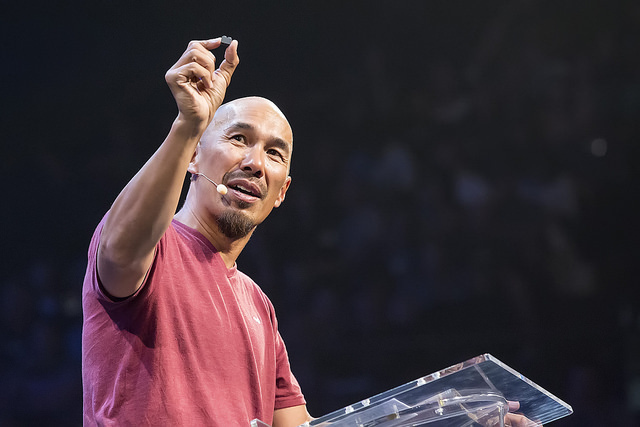 It was a privilege to have Francis Chan challenge us. From July 10-22, our family attended Cru’s biennial U.S. Staff Conference in Fort Collins, CO. This is always a significant time to meet with the Lord, to be equipped to be more effective in our ministry roles, and to see where God is leading us as a movement. Our leadership challenged us in four areas of focus: 1) continuing to be people committed to share the gospel, 2) elevating ethnic diversity in our organizational culture, 3) increasing our potential through partnerships with churches and other organizations, and 4) taking the gospel beyond our borders to the people of the world. Amazing leaders from inside and outside of Cru inspired us. Dennis Rainey, from Family Life, cautioned us against putting the Great Commission before the Great Commandment. Francis Chan reminded us that, “Movements of God are fueled with people who are deeply in love with Jesus.” James White expressed that “God uses unexpected people to do unexpected things” and “Jesus moves into our world not because of who we are, but because of who He is.” As always, we left with a fresh motivation to pursue greater intimacy with the Lord and to trust Him for great things in the future. While we were attending the staff conference, Danny and Mandi participated in the Cru Getaway. This experience is designed specifically for the teenage children of staff families. 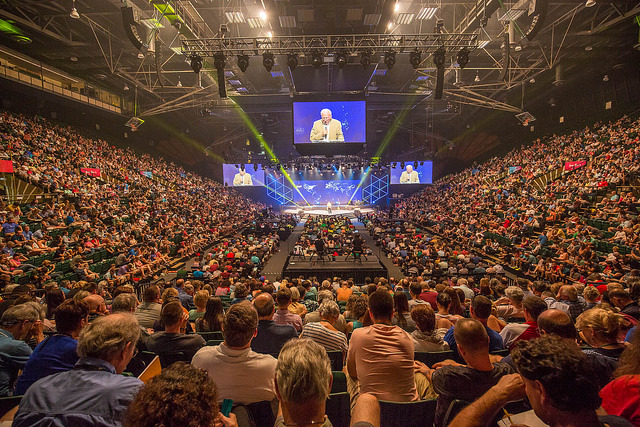 In addition to having a ton of fun, they heard from Josh McDowell, the author of a book called More Than A Carpenter, which we had just read in the spring. 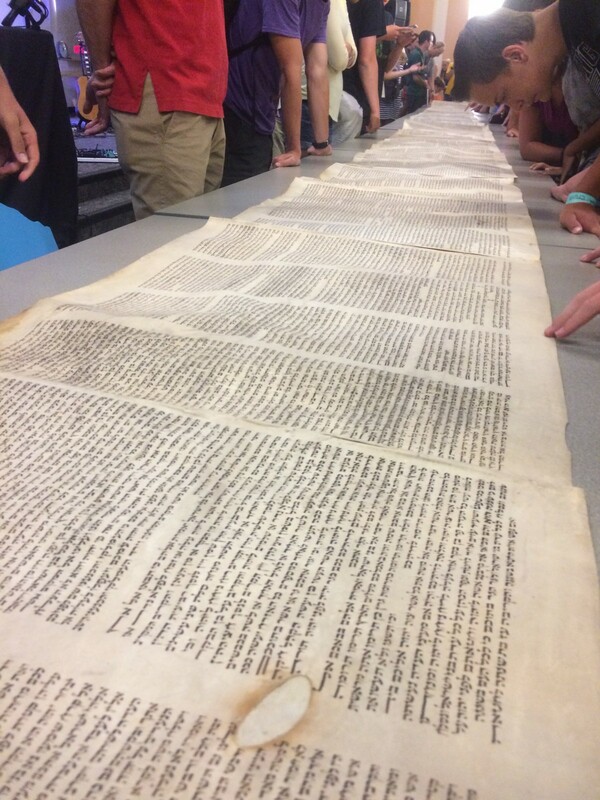 He even brought an ancient manuscript of the Old Testament that they actually got to touch! An ancient manuscript of the Old Testament. We did find a little time for some hiking. 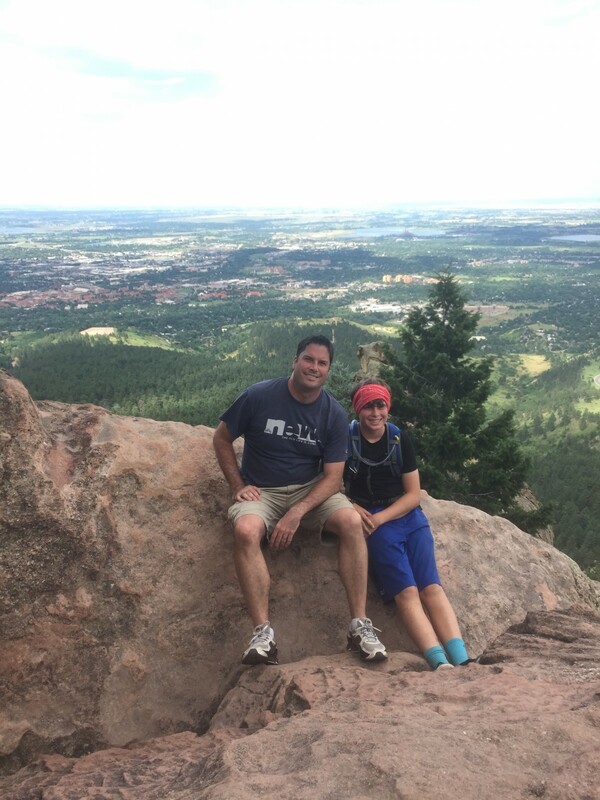 This is Danny and I on top of the Flatirons in Boulder with CU (my alma mater) behind us. Go Buffs!